Whether relaxing by the pool after a long day or getting the party started, it is hard to go wrong with a margarita! These fun cocktails are made with tequila, orange liqueur, and lime juice and often are served with a salted rim. 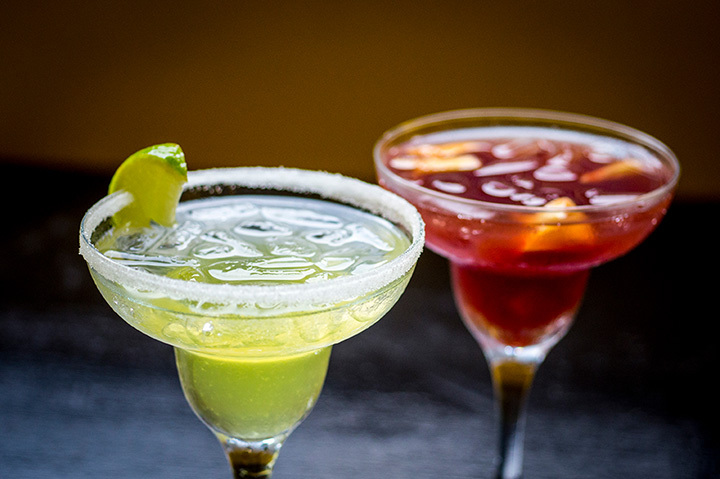 So head to one of these 10 restaurants to sip on some sweet and tart margaritas! Que Pasa is not only one of the most lively restaurants in downtown Rapid City, they also serve up a mean marg. Seating is available either inside the colorful restaurant or outside on the festive patio, lit by string lights and the firepit. The menu combines classics of Mexican cuisine and more modern, fresh influences. They stock a huge variety of tequila with over 52 featured labels, using pure blue agave tequila for the margaritas. In addition to margaritas, don’t forget to try some authentic Mexican food like tacos, quesadillas, sizzling fajitas, burritos, chimichangas, nachos, enchiladas, and much more. Make sure to stop by from 3 p.m. to 6 p.m. Monday through Friday for half price margaritas! Tantalizing fried ice cream, cheesy nachos, and savory quesadillas are just some of the many specialties of Chevys Fresh Mex in Sioux Falls. One of their most popular menu items, however, is their refreshing margaritas. The margaritas are large and low cost, especially during happy hour. The food is also a must-try, as it is all authentic, delicious, and expertly seasoned and flavored. Make sure to give the strawberry margarita a try! Guadalajara’s is a family owned and operated restaurant that is known for having the best Mexican fare in all of scenic Spearfish. The dining area is decorated with traditional Mexican decor and beautiful, colorful pottery, giving every dining experience an authentic flair. The huge menu offers an incredible variety of food and drinks, with plenty of margaritas to choose from. A local favorite is the mango margaritas. For over a decade, Jacky’s has served up traditional Guatemalan cuisine to Sioux Falls and the community has grown to adore their fare. The menu includes favorites like breakfast items, burritos, ceviche, enchiladas, fajitas, seafood, soups, steaks, and unique desserts like sopapillas, tres leches cake, and ice cream chimi. Wash down all this delicious food with one of their huge, expertly made margaritas. Ixtapa is a Rapid City gem for Mexican food lovers. This downtown restaurant serves up delicious, huge portions for reasonable prices. The chefs channel authentic Mexican cuisine and combine it with modern flair. The food isn’t the only thing on the menu though- the drinks are also to die for! There are plenty of margaritas to choose from, like the sweet icy strawberry margaritas served in large glasses. You’ll never go wrong at Ixtapa! The burros in Custer State Park aren’t the only famous burros around! The Begging Burro Bistro is a favorite of locals and tourists alike due to their tasty food, refreshing drinks, and friendly staff in a welcoming atmosphere. Diners can choose from menu items like street tacos, enchiladas, osso bucco, burritos, and plenty other options, so there is something for everyone on the large menu. But don’t forget to look at the drink menu because the margaritas are out of this world! The margs fit perfectly with the hot and tasty fare! Stepping through the doors of El Tapatio is like stepping straight into Mexico! The chefs at this restaurant serve up food from the recipes of Jalisco, Mexico. Jalisco is also known for their mariachi music, something that El Tapatio also incorporates into their dining experience. The menu offers plenty of food and drink options, like 10 different varieties of pina coladas, sangria, seven types of wine, as well as some of the best margaritas around. Margaritas are only $3.75, a fantastic deal for their size. Mazatlan offers a huge menu of Mexican cuisine, all served in even bigger portions! From fajitas to enchiladas to sopapilla, Mazatlan is a paradise for foodies who love Mexican fare. Their famous margaritas are available in several flavors like lime, strawberry, peach, pina colada, mango, raspberry, and margarona. Senor Max’s in Watertown is a small town restaurant with a big town taste! The food is served in large portions and you can’t go wrong with any of the dishes. Make sure to wash it all down with a couple margaritas. Come on Tuesday nights for half priced margaritas! Nachos, quesadillas, fajitas, taquitos, enchiladas, carnes, parrilladas- Sioux Falls’ Azteca has all of the favorites! But one of their best menu items are the refreshing margaritas. The margaritas are available in several flavors like lime, raspberry, blackberry, strawberry, peach, banana, kiwi, mango, or melon.